In a series of public messages, the US Federal Reserve has issued some statements recently which telegraph an increasingly likely official interest rate cut. These guys will cut rates, but only when kicking and screaming, since they have displayed extreme reluctance at every opportunity. They know the damage to the US Dollar certain to follow. They speak through their usual mouthpieces, but this time with the added impact of Sir Alan Greenspan, serial bubble engineer extraordinaire. One must connect the dots, a task now routine among my methods, putting to practice the motto “think like a thief” in order to properly gauge the enemy. Why? Because the integrity of the US financial system, economic management, and leadership is as low as a snake's belly slithering in the grass. Although subprime blowup fears continue to make for enthralling reading, the financial markets have yet to be seriously impacted. Rather, while some repositioning away from financial stocks and into utilities is suggestive of a developing defensive trend in the marketplace, this theme has yet to really get running. For that matter, the tightness in subprime is showing little evidence of spawning widespread restrictive credit practices. Of course, this could, and likely will , change quickly, and the situation is certainly worth monitoring as we await the ?Greenspan Recession' to start later this year. The inverted yield curve has been a good predictor of a recession in our economy according to several studies. Many investors seeking to beat the market consider the inverted yield curve a good indicator of economic problems in the future. They reason that long-term investors will settle for lower yields now if they expect the growth of the economy to slow or go negative in the future. I have been concerned that the inverted yield curve was an important indicator of a recession in the U.S. that would begin later this year. However, so far the forecast recession has yet to show itself. Could it be that the global economy is negating the impact of the U.S. inverted yield curve? Let's take a look at this idea. The minutes of the February 8 meeting of the Bank of England's Monetary Policy Committee (MPC) showed a 7-2 vote to leave rates on hold this month. The two members in favor of another hike thought that the 75bp of tightening since last August was too modest given the rise in inflation. The majority were concerned that a closely-spaced series of rate increases could lead to "excessive tightening." However, the members seem still to be concerned about medium-term inflation risks, a concern also underlined in last week's Inflation Report (see Daily Global Commentary, February 14: " Bank of England Says One More Rate Hike Will be Necessary "). All told, the minutes, along with data releases of the past few days, point to another rate increase - but probably not until the April 5 or May 10 meeting. The latest MPC minutes show that the decision to keep interest rates on hold at 5.25% was tighter than expected, with two members (Tim Besley and Andrew Sentance) voting to raise interest. And 7 electing to adopt a wait and see attitude following the last rise, and better the inflation figures for January. This implies that a future rate rise is still on the cards. Despite speculation of another rise in interest rates, the Bank of England Monetary Policy Committee decided to keep interest rates on hold at 5.25%, following January's surprise rise to 5.25%. In a wait and see attitude, hoping that January's rise will be enough to curb pay deals and inflation. Two year Treasury yields lost 5 bps to close at 4.93%. Both the five and ten year Treasury yields fell 5 bps to 4.82%. Long-bond yields were also down 5 bps to 4.92%. The spread between the two year and the ten year closed the week inverted 11 basis points. The Fed still has its coveted inverted yield curve - where short term rates are higher then long term rates. All inverted yield curves of the past have always been followed by a recession in the economy. Caveat Emptor. Word is out on the street that another interest rate hike could occur in a matter of days, barely weeks after the last rate rise.The source of recent speculation is a result of research by BDO Stoy Hayword which suggests the increase in inflation pressures may force the Bank of England to raise interest rates later this week. The Market Oracle has been forecasting a target for UK interest rates of 5.75% by Late 2007 for sometime (UK Interest Rates could rise to 5.75% in 2007 7th Nov 06), with our forecast for early 2007 of between 5.25% to 5.5% (Interest rate trend uptrend accelerates 11th August 06) virtually spot on. However a rate rise to 5.50% in February would imply the possibility of our target of 5.75% could now be exceeded. So what is the real chance for another interest rate rise in February ? Can you possibly stand another article about Greenspan? If the answer is “no” I completely understand – I too am ready to let the man take his place in history next to the buggy whip – but he was responsible for something that will be resonating in your life for a very long time. Since I've already typed two complete sentences and am still on topic, I think it's time for a detour. So let me tell you that I am cursed with a brain that connects dots. Worse, my brain likes to store things up as though random news items were potatoes and a particularly vicious Polish winter were on the way. The fact that I live in the US only confuses things all the more. But that's not the point. The point is that Alan Greenspan is either depraved or a fool and, of the two, I am not sure which I feel worse about as describing the man who was at the helm of the monetary bobsled during the longest stretch of paper credit expansion the world has ever seen. The latest MPC minutes show that the decision to raise interest rates from 5% to 5.25% was carried by just one vote. This implies that the decision for future rises will be more balanced than what the market initially perceived after the last rate rise. In an age when ruling parties of every political stripe manipulate data to promote their own self interests, there is also strong universal cynicism towards government statistics on inflation. It is natural for official inflation data to be wildly at odds with the realities of the marketplace, and regarded with utter disbelief. Nowhere on Earth is there more skepticism about inflation data than in Japan, especially after Tokyo's financial warlords rigged the core CPI last August, and shaved 0.4% off the official inflation stats with the stroke of a pen. That slick maneuver handcuffed the Bank of Japan from raising its overnight loan rate to 0.50% for the past four months. Tokyo was able to buy more time to keep the Nikkei-225 index afloat with a cheap yen policy, but Tokyo gold prices are now bumping against 78,000-yen /oz, just 4% shy of their 18-year highs set in May 2006, reflecting the massive amounts of monetary steroids injected by the BoJ into the Tokyo and global money markets for the past five years. That Federal Reserve Board rate cut? The one Wall Street's been forecasting for months? The one that's supposedly right around the corner? The latest economic numbers say it ain't happening. The latest moves by foreign central bankers make it unlikely. And as far as I'm concerned, the Fed is pretty much treading water in an ongoing flood of easy money into the asset markets. 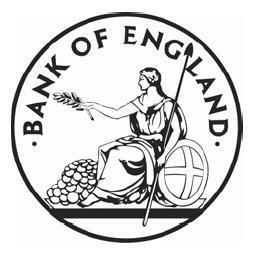 The Bank of England raised interest rates by 0.25% to 5.25%, whilst most of the city of London was caught of guard and had already started to consider the next move for a cut in interest rates. If you have been following our forecasts and analysis at the market oracle you will be aware that we are expecting interest rates to rise to 5.50% this year and possibly even as high as 5.75%. Whilst the first anticipated rise in interest rates was Feb. 07, this rise is one month early. Though only one of 50 economists polled by Reuters predicted an increase in interest rates. The US Bond market had a volatile year, as the market wrestled with a resurgence in inflation during the first half of the year, and then rallied in the 2nd half on a weakening economy and speculations that US interest rates had or were near their peak. The Fundamental Economic Picture - The US economy ends 2006, with slowing economic growth, a weak housing market, rising inflation and a declining dollar. The economic picture this paints both call for higher and lower interest rates. Where we need to look at for further clues is to the Fed. What would the Fed do ?, More importantly what has the Fed done in the past. The answer to this is clear - Cut interest rates and print money to ignite economic growth. Thus, even with rising inflation, and a falling dollar, the Federal reserve is likely to focus more on attempting to boost a slowing economy by cutting US interest rates as the danger is clear that another leg lower in the US real estate market on the back of record amounts of mortgage debt could tip the US into recession during 2007. That's the fundamental picture. UK Interest rates end 2006 at 5%, up 0.5% on the years low of 4.5%, as the bank of England strives to bring inflation back under control. Though the bank increasingly seems to be fighting a losing battle against a soaring money supply of over 14% ! stoking the fires of inflation as the RPI hits 3.7% and the CPI 2.7% the highest levels since 1993 ! With the economy near full employment, the inflation figures are set to wage costs soaring feeding into a wage price spiral. which is expected to feed through into even higher inflation during 2007. The middle class already are experiencing inflation closer to 6% than the 2.7% that the CPI represents. The late Nobel Economic laureate Milton Friedman once remarked, “Money is too important to be left to central bankers. You essentially have a group of unelected people who have enormous power to affect the economy. I’ve always been in favor of replacing the Fed with a laptop computer, to calculate the monetary base and expand it annually, through war, peace, feast and famine by, perhaps, a predictable 2 percent,” Friedman said. Financial chiefs from the Group of 20 industrialized and emerging economies could hardly believe their good fortune, as they huddled behind closed doors on Nov 19th. Central bankers from Great Britain, Canada, France, Germany, Italy, Japan and the United States, and 13 emerging economies, including Australia, Brazil, China, India, Russia and South Korea, implemented a joint strategy six months ago to derail the “Commodity Super Cycle”, and they hit pay dirt in the Fall of 2006. In widely expected interest rates moves, the European Central bank raised interest rates to 3.5% (a 5 year high) and the Bank of England kept rates on hold at 5%. 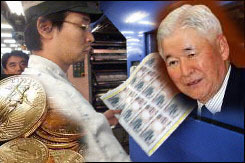 As Japanese growth numbers for 2006 and 2007 have been revised higher to 2.5%. the Japanese central bank is increasingly looking to raise interest rates further from the current 0.25%, after spending many years at 0% (up from 0% in July 06). Interest rate forecasts suggest that rates could rise to as high as 2.5%, which could spell an end to the 'carry trade'.